Fully Stainless Steel Bird Spikes including base. 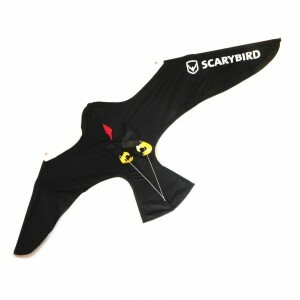 The most effective method for commercial bird control. 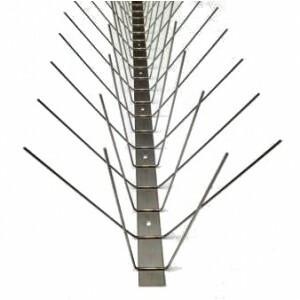 Stainless Steel Bird Spikes are one of the easiest bird proofing products to install and when made from stainless steel, they are one of the more durable methods too. 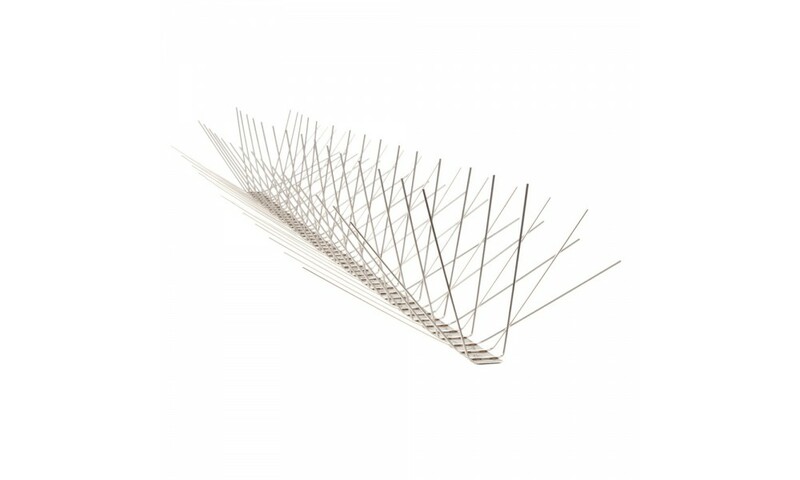 These Stainless Steel Bird Spikes interfere with the birds ability to land (without causing them any injury) and will deter birds from perching, roosting or even nesting on various types of structures. Birds instinctively fly to "landing strips" such as roof ledges, windowsills, building projections, signs, statues, trusses and beams. 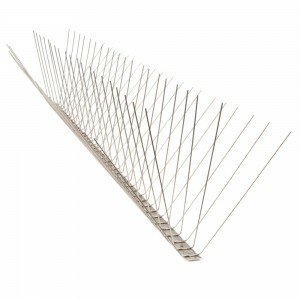 But now with Stainless Steel Bird Spikes you can keep them from landing on your property. 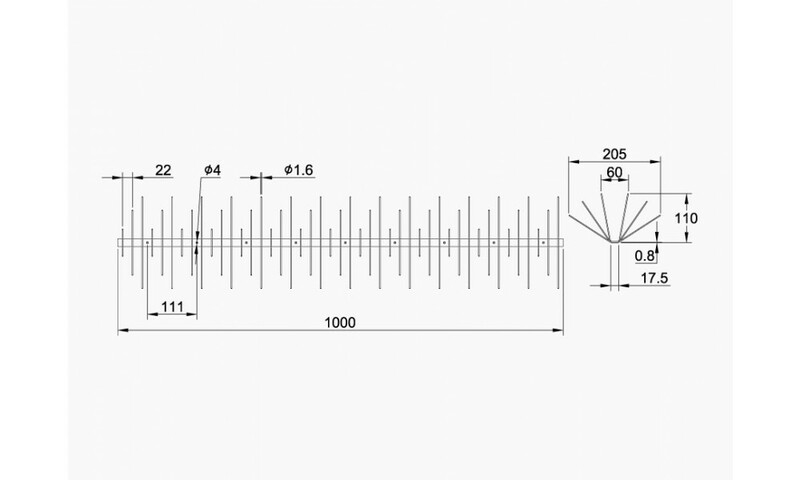 For true commercial applications consider the Stainless Steel Bird Spikes design. 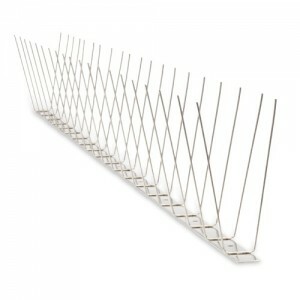 The actual Stainless Steel Bird Spikes are made of Stainless Steel so it will not rust and should last for many years. 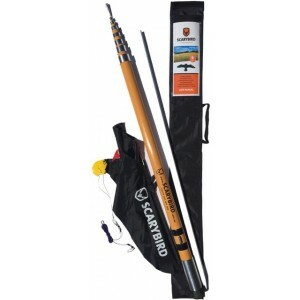 The Stainless Steel bird spike is an ultra-wide configuration, offering protection coverage of 205mm. 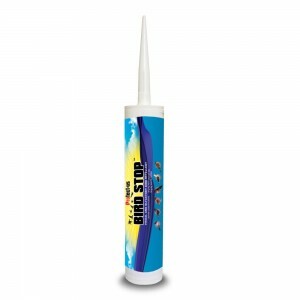 It protects building and structures from bird excrement for more than 15 years, with a 100% high-grade #304 stainless steel construction that shields against rust, UV and chemical degradation. Stainless Steel Bird spikes visually deter birds from flying near or landing on the surface, but can barely be seen by human eyes. The tips are blunted to prevent any harm. The Stainless Steel Bird Spikes features V-shaped spikes that are spot welded with precision to create a stronger and cleaner fusion, ensuring long life. The stainless steel base is light and conformable to any surface. Protects a wide area with a single row of spikes. 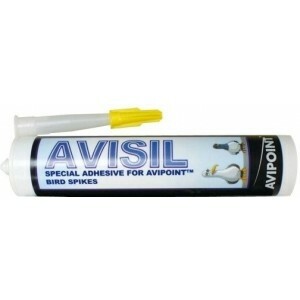 Provides better adhesion than plastic polymer bases. 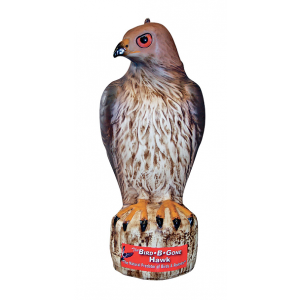 Most durable solution for perching and nesting birds. Easily conforms to any curved surfaces.